Felicity Huffman and 12 other parents, including a few high and mighty of the financing and management world, paid money to get their kids gain a better SAT score essential to gain college admission in the United States and some paid money to get their children a fake athletic record. File photo of Felicity Huffman. Desperate Housewives star Felicity Huffman to plead guilty in US college admissions scam: A Desperate Housewife indeed! 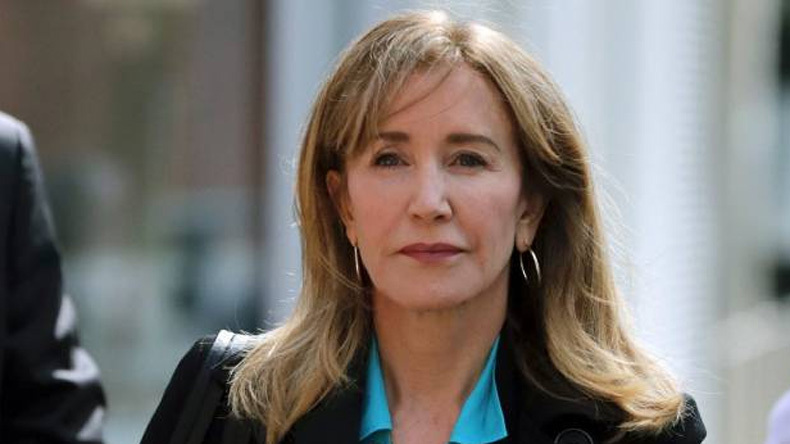 Desperate Housewives’ star Felicity Huffman and 12 other parents will plead guilty of forking out money, $15,000 in Huffman’s case, to beef up their children’s score for college admissions. Huffman is charged to have paid the money to a 36-year-old Harvard grad to fix her daughter’s SAT paper giving the girl a boost of almost 400 points compared to an earlier test. The actor is said to done the same deal for her younger daughter’s tests too. Huffman’s husband actor William H. Macy has not been charged but prosecutors said he knew of the scheme. Overall, the actor and the 12 others will be pleading guilty to conspiracy in mail fraud and honest services mail fraud. The admissions fraud centred on William Singer, the owner of a college admissions company, who was paid to help the children beat college entrance exams. The firm also cooked up athletic records, enabling the children to get admission to schools like UCLA, USC, Stanford, Yale and Georgetown, according to court documents. In a statement, Huffman said she is in full acceptance of her guilt. She assumed full responsibility for her actions with regret and shame and said she will accept the consequences of those actions. She said she was ashamed of the pain caused to her daughter, her family, friends and the community. The apology said she wanted to apologise to students who toil hard to get into college and their parents who make stupendous sacrifices to support their children’s dreams. Huffman said her daughter knew nothing of the misguided scheme to get her into college.